My kids have always been crazy about those sugar cookies at Target. You know the ones. They're big, soft, thickly iced with bright colored frosting and have a list of ingredients as long as the Apple Agreement I reflexively hit "Agree" to but have never read. They contain sugar, flour, margarine and all kinds of artificial flavorings and colorings. Yuck. I mean, yum! Yum! They're good. I get it. But maybe I can make something just as good, better or at least a respectable stand-in that includes ingredients I could find at any natural food store or co-op. I know, it takes more time than plopping down a few bucks for a pack of 6 or 12. I have no quarrel with that, but once you get the hang of dough making and keeping the ingredients around, it's pretty quick. Having a stand mixer helps hugely. It's not even fair comparing a baker who has one and a baker who doesn't. 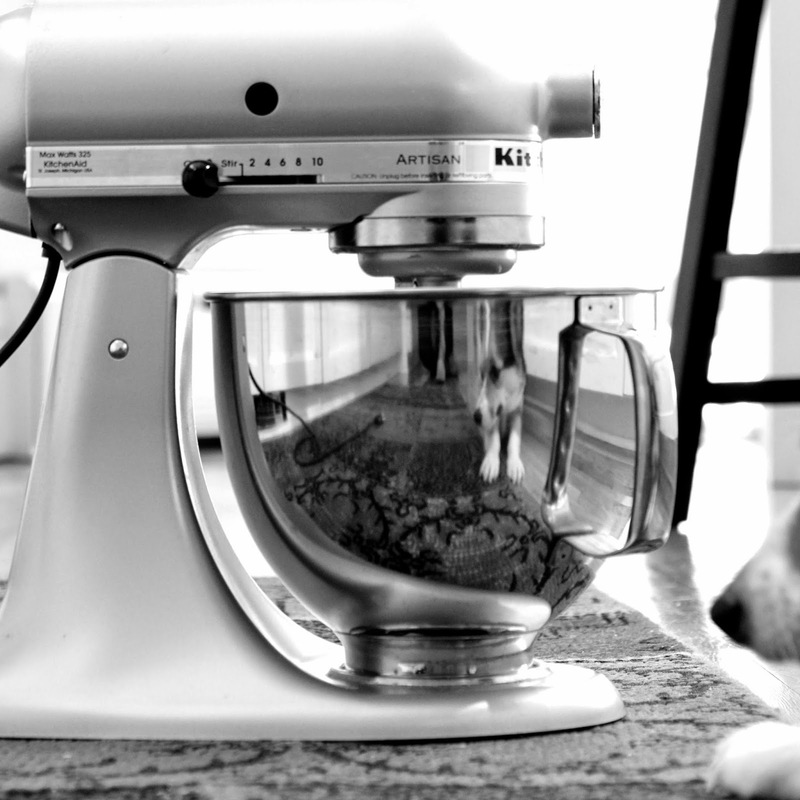 A stand mixer is speed and freedom for your hands to prep other stuff, wash up, etc. while your butter creams. It's a damn fine piece of machinery and I think I'd give my car away before I gave up my mixer. Okay, maybe not my car but for sure the snowblower. We haven't had a lot of snow this year and my memory is short. I made a lemon version of these cookies for a school event and to my highly suspicious daughters' relief (she's about had it with my cardamom, cranberry and coconut adventures) they disappeared quickly....even as fast as the Oreo's leaving plates of chocolate chip cookies in the dust. 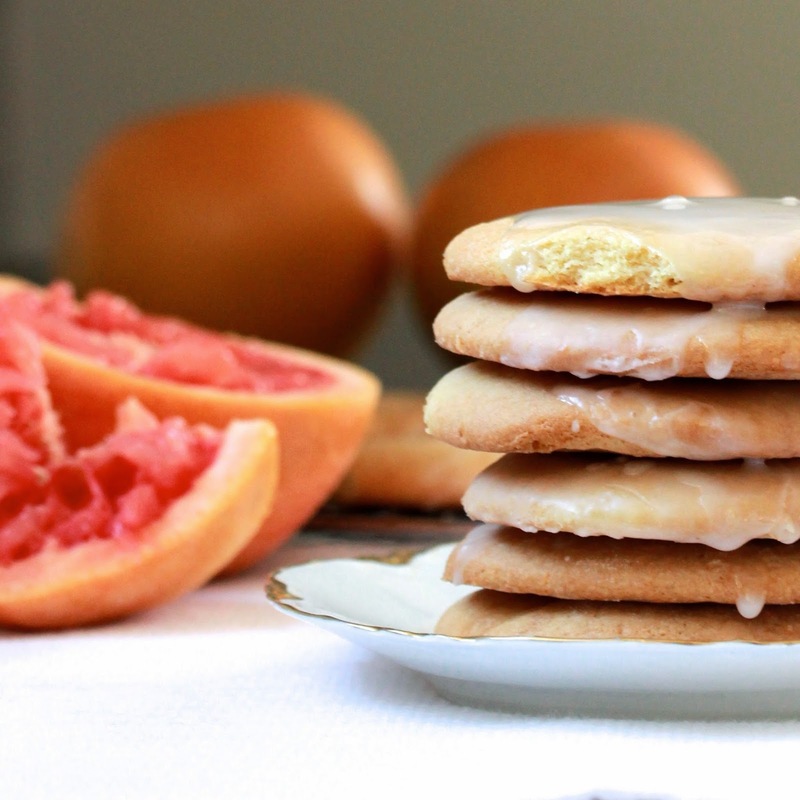 Grapefruits are so good this time of year so I made a grapefruit version that carries their perfume, citrus flavor and even a little of the puckery feeling in your mouth when they're gone. They're nice and soft and stay nice and soft if you store them in an airtight container. Note: The batter needs to be refrigerated overnight or chilled for several hours to firm up. * I think they're even softer and chewier when you use bread flour. Whisk buttermilk, sour cream and juice together. Beat butter, sugars, grapefruit zest and eggs until fluffy. Add sour cream/buttermilk mixture and mix until incorporated. Sift in dry ingredients and stir just until combined. Cover bowl with plastic wrap and refrigerate for several hours or overnight (or an hour outside if you happen to be in Minnesota in February). Roll chilled dough out onto a heavily floured surface (and flour the rolling pin too - it's sticky) to 1/4" thickness. Cut with 2-3" cutter and place on parchment lined baking sheets. Sprinkle with sugar and bake for 10-12 minutes or until golden brown. Transfer to wire racks to cool. 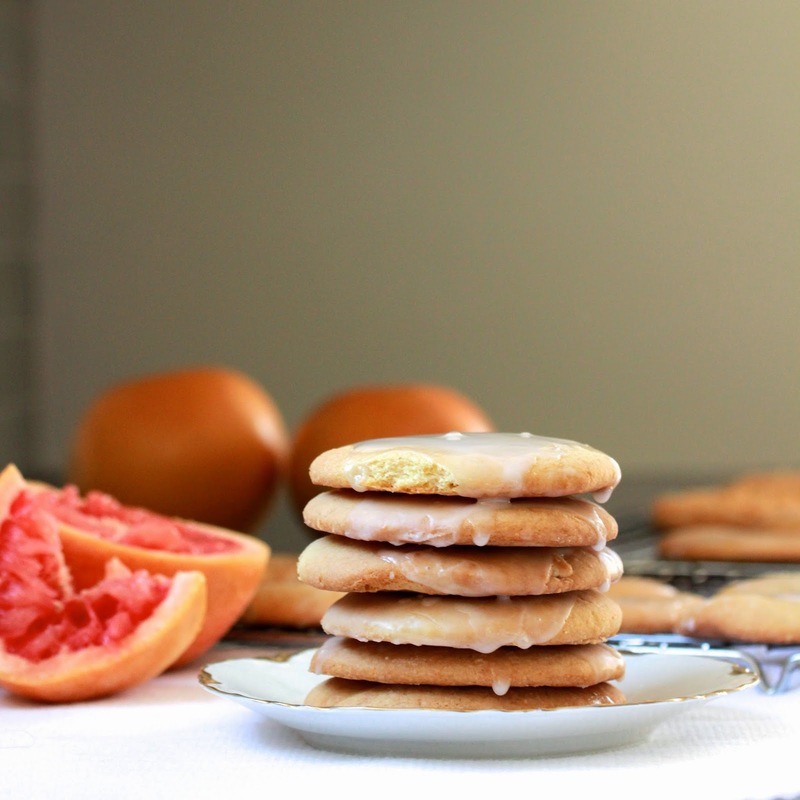 For glaze, whisk grapefruit juice, cream or butter, zest and confectioners sugar together until smooth, adding more juice or sugar as needed to get a thick and pourable consistency. Pour over cooled cookies and let harden.